If you have thousands of movies in your Home Theater collection, and you'd like to have easy access to them, a NAS server is one of the best choice you can have. QNAP TS-231P NAS is a powerful yet easy-to-use network storage center for backup, synchronization, remote access, and home entertainment with many feature-rich apps available. It is an ideal NAS for you to store media library with large storage space. If you are a DVD collector, you even can rip and backup large DVD collection to QNAP TS-231P NAS for easy access at Home Theater. It is easy to copy DVD to QNAP TS-231P NAS cause there are many DVD Ripper or DVD Copier in the marker that can help you remove DVD copy protection and than extract DVD movie title from DVD discs to QNAP TS-231P NAS. Comparing Windows process steps, it is usually harder to copy DVD on Mac especially the latest macOS High Sierra. Therefore, this artcile will try to show you how to copy DVD to QNAP TS-231P NAS on macOS High Sierra with top 3 DVD Copy software. MakeMKV for Mac is a one-click solution to copy DVD to QNAP TS-231P NAS in MKV container. 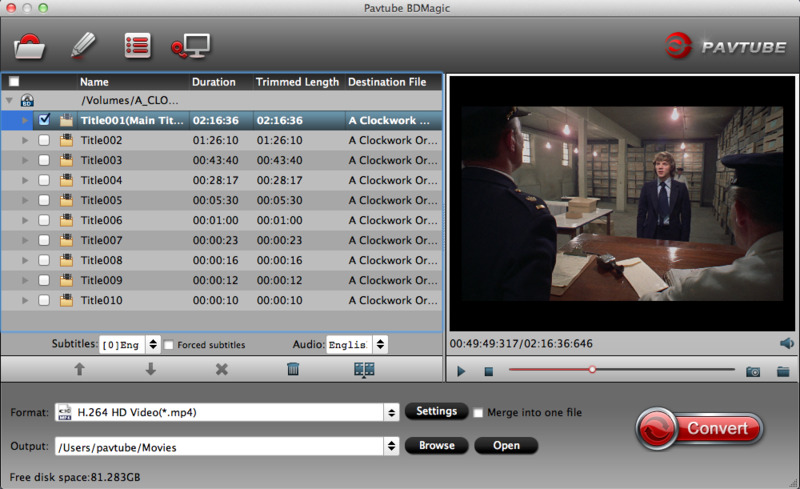 The MKV format can store multiple video/audio tracks with all meta-information and preserve chapters. 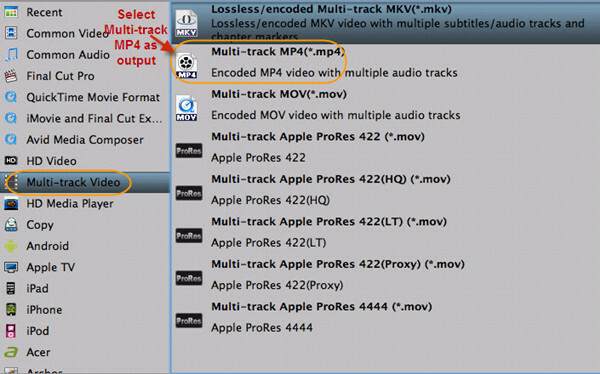 You cannot play the MKV file in Apple's apps—iTunes, or with the QuickTime video player on macOS High Sierra—but you can use the file as a source for Handbrake to convert. Step 1- Downloading the free, open source software, then put your disc into your drive. Step 2- Once the program recognizes the disc, click on the big "Open Disc" button and MakeMKV goes to work. Step 3- MakeMKV will return a list of chapters and segments that you can rip. Find your movie (usually the longest title or biggest file) and uncheck all the other boxes. Next, designate an Output Folder where you'd like the file to end up once it's been ripped. When you're all ready to go, hit the "Make MKV" button. This process can take anywhere from two minutes to half an hour depending on your computer's processing power, but when it's done you should have a nice big MKV file waiting for you in the folder you specified. Pavtube BDMagic for Mac is the professional DVD Ripper for macOS High Sierra which is designed to rip and backup any commercial and region-locked DVD disc, DVD Folder, DVD ISO to Mac Hard Drive in nearly all format video with original video quality. It also can 1:1 backup DVD to QNAP TS-231P NAS on macOS High Sierra keeping the intact video structure and original video quality. Step 1: Run the program on your computer, on the main interface click "File" > "Load from disc" to Load DVD disc from optical drive. DVD is also supported to rip to Hard Drive with BDMagic for Mac. When the DVD is loaded, the main title of the DVD will be checked automatically. Step 2: Hitting the icon on the top tool bar of the main interface to start to entire backup DVD to QNAP TS-231P NAS with the original video structure and all information in the disc. 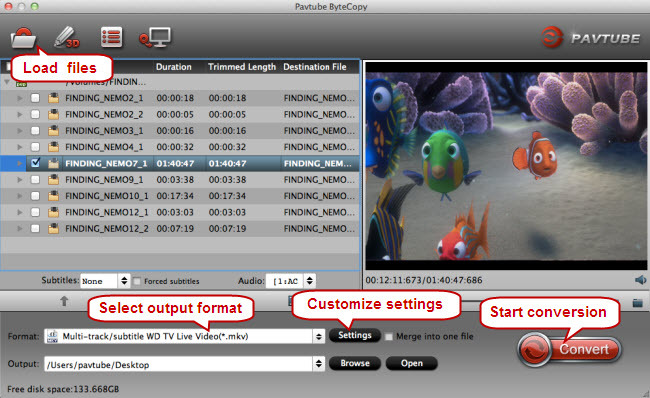 Pavtube ByteCopy for Mac is the best DVD Ripper for macOS High Sierra that can get around the copy protection from DVD then transform the "Disc format" to mainstreaming video format to compatible with QuickTime, iPhone 8, Apple TV 5, iPad Pro, etc. It can copy DVD to lossless MKV for QNAP TS-231P NAS as MakeMKV does. It also can convert DVD to QNAP TS-231P NAS in MP4, MOV, AVI format with multiple audio tracks. If you want other formats, it still offers you. Step 1: Insert DVD disc into disc drive, launch ByteCopy, and browse to disc drive for importing your DVD movie into this app. It can automatically detect the main title to convert. You can choose desired subtitle and forced subtitle before the next step. Step 2: Click "Format" to open the drop-down list, you can choose any format you need. You can select lossless MKV as the output format to keep the original quality or you can definite MP4 as the target format for your QNAP TS-231P NAS and macOS High Sierra. Step 3: Hit on "Convert" to start to rip DVD to QNAP TS-231P NAS on macOS High Sierra. When the process is done, you can open output folder to locate the generated MP4 files on hard drive. By these three ways, you can rip DVD to QNAP TS-231P NAS on macOS High Sierra easily and freely. In this case, you can play your DVD movies via QNAP TS-231P NAS anytime.